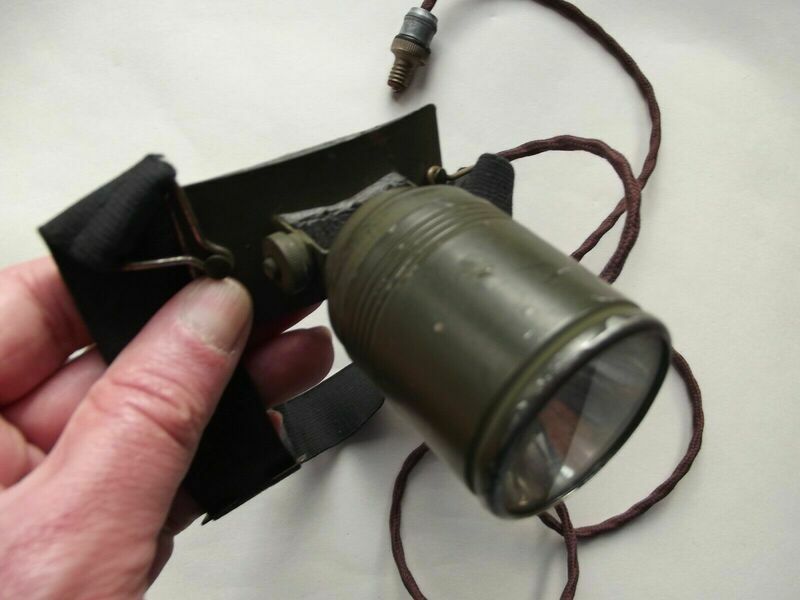 This 1939-dated hand torch / lamp in the standard issue lamp given to ARP wardens in the early part of the war. Standard issue WW2 ARP torch (1939). 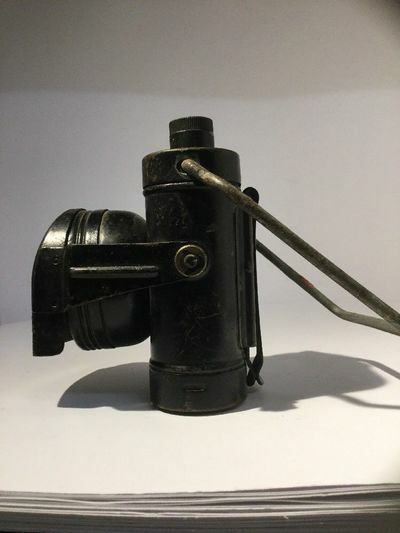 Standard issue WW2 ARP torch (rear). 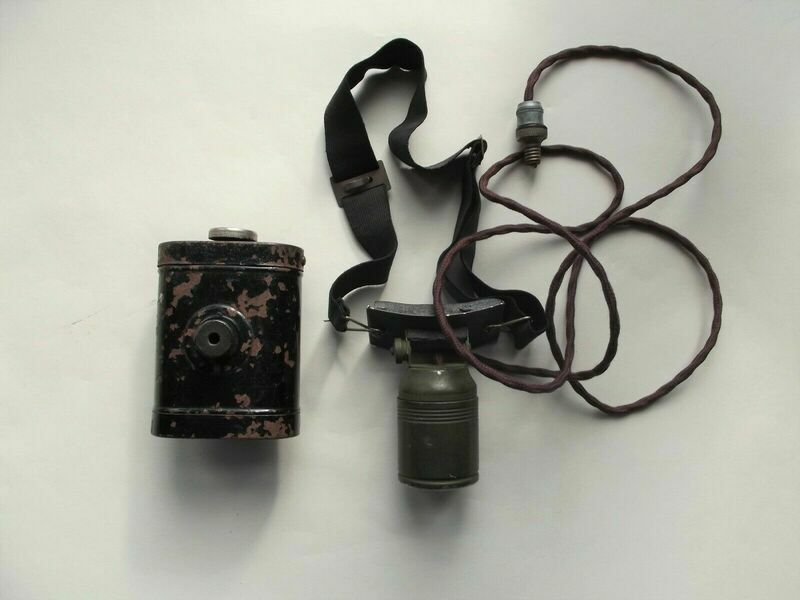 Standard issue WW2 ARP torch (top). 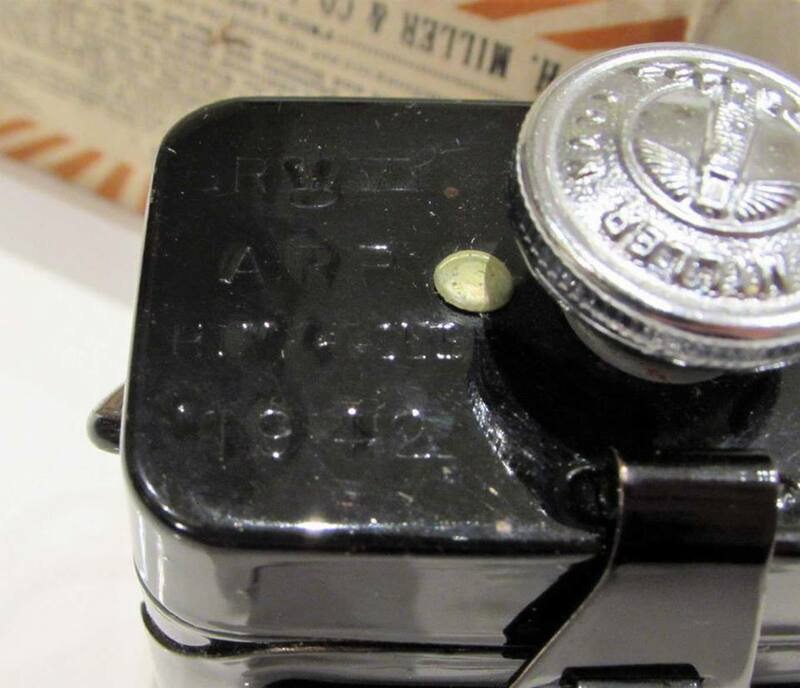 1942 issue WW2 ARP torch (front). 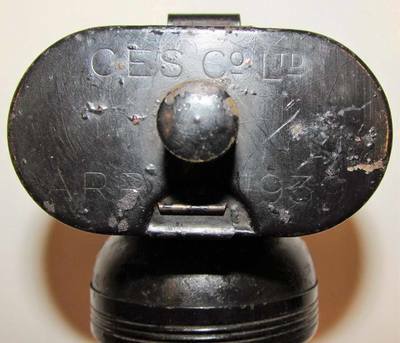 1942 issue WW2 ARP torch (rear). 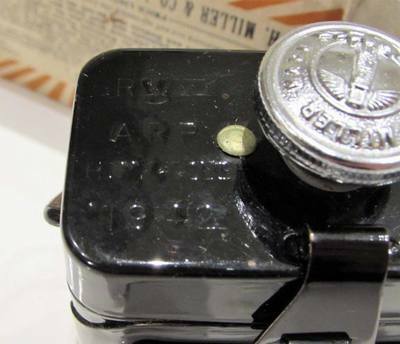 1942 issue WW2 ARP torch (top). 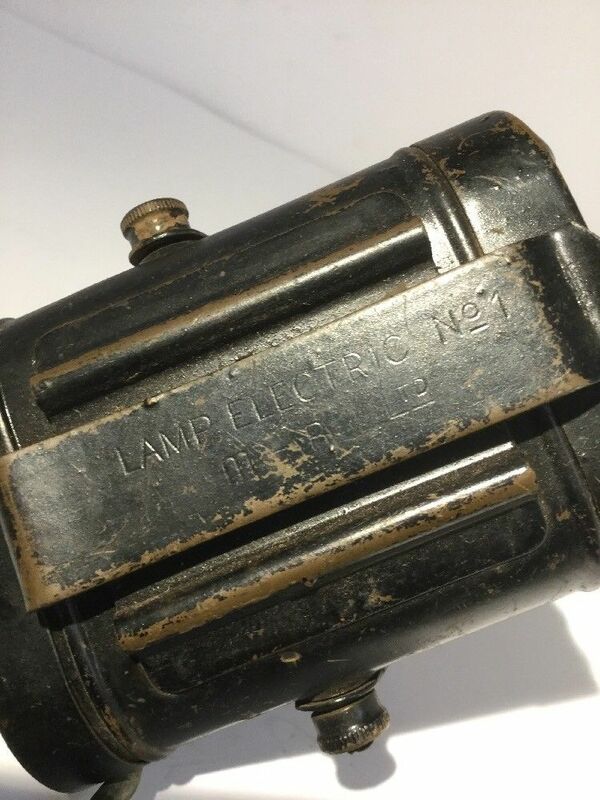 This type of lamp was often used by ARP wardens and civil defence personnel. 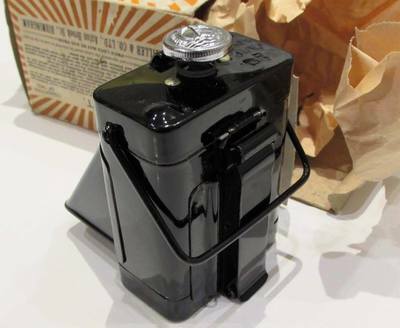 It had an integral front screen that could be lifted out of the way when more light was required. 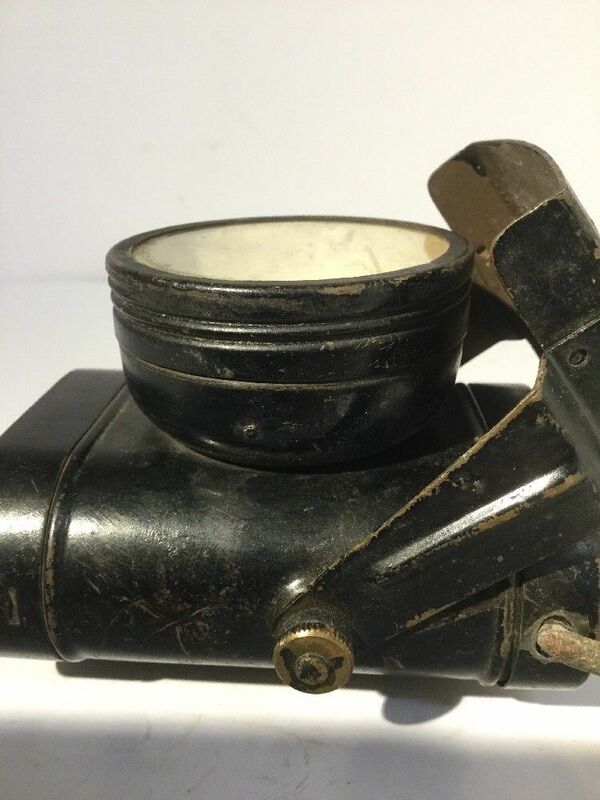 WW2 civil defence Lamp Electric No.1. 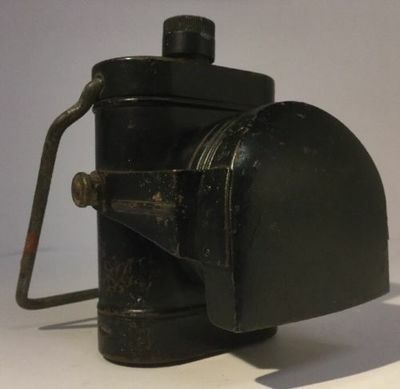 WW2 civil defence Lamp Electric No.1 (side view). 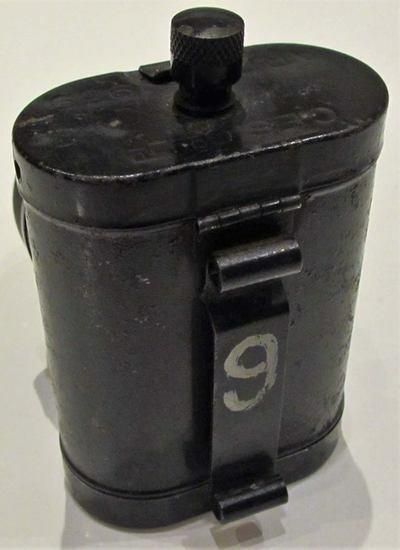 WW2 civil defence Lamp Electric No.1 (rear). WW2 civil defence Lamp Electric No.1 (cover). 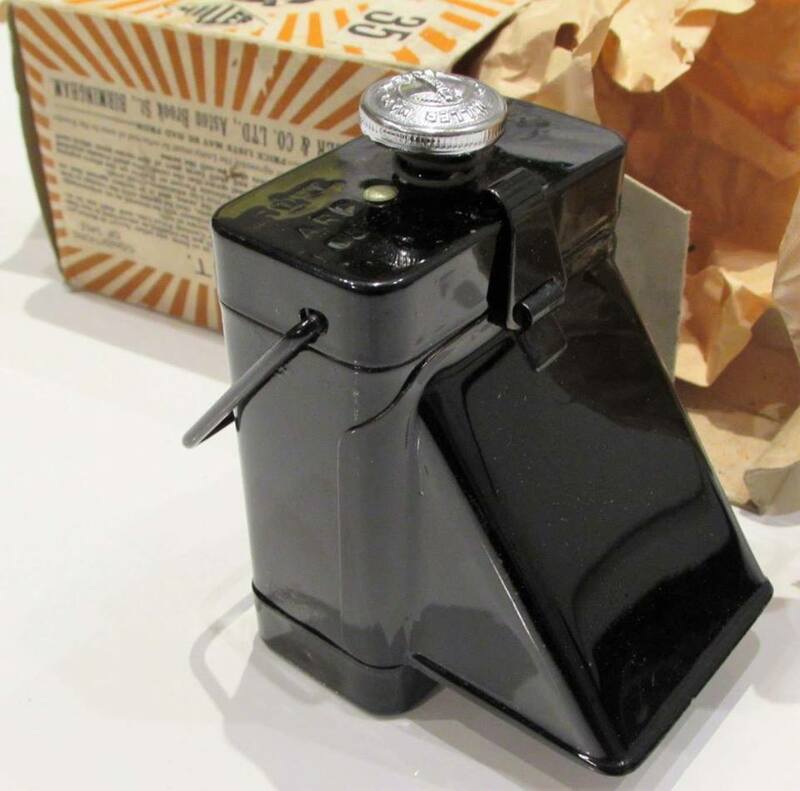 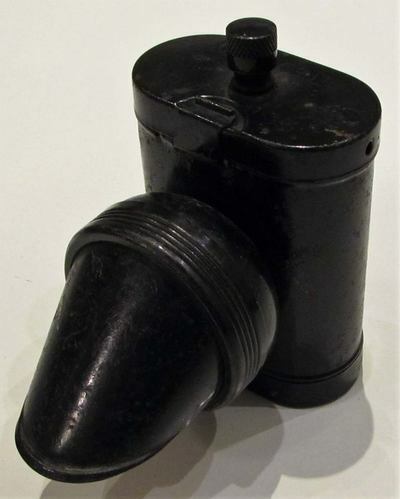 Primarily devised to assist rescue squads at air raid incidents, this battery powered torch could be worn on the head or fixed to the brim of a helmet. 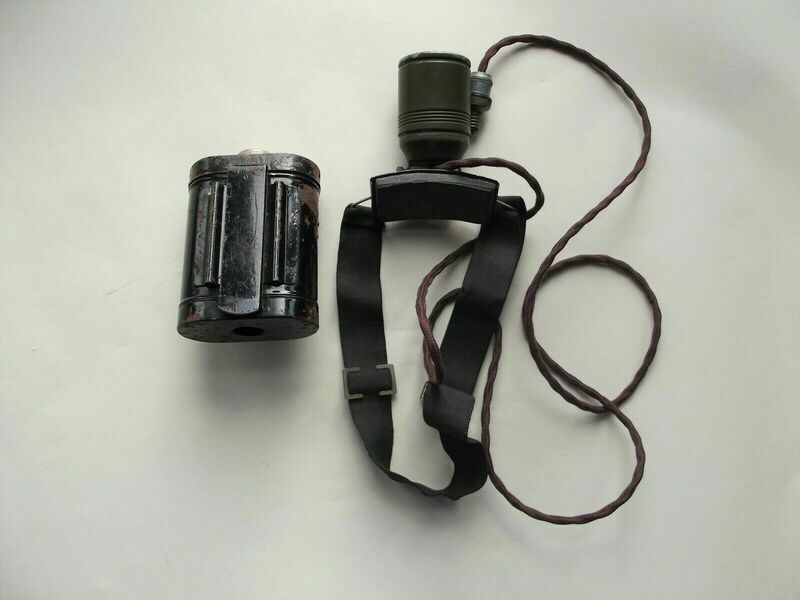 The battery pack would be attached to a belt and a cable ran to the torch. 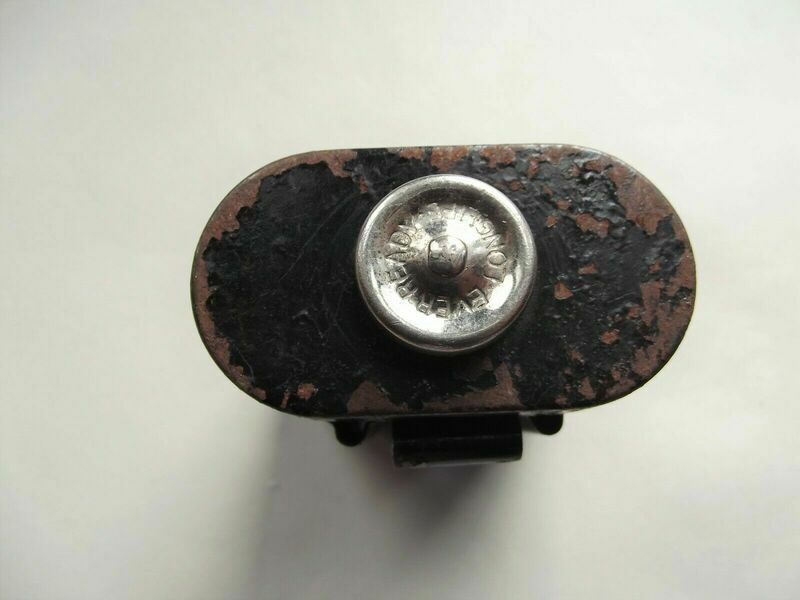 There are very few photos of the torch in use and it would appear that they were not actually that useful.